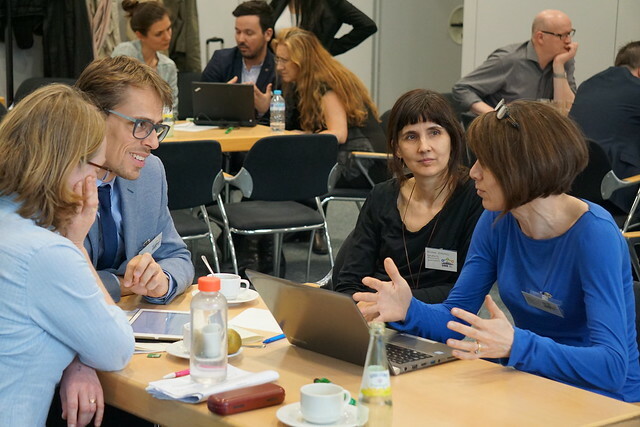 The cities of the Smart Mature Resilience project met for the closing occasion of SMR’s successful Tier 3 city programme last week in Bonn. While the project began with seven cities as full project partners, an additional seven cities have become active and engaged in the project, many of whose representatives are also active contributors to SMR’s standardization preparation activities. Giampaolo Tarpignati, Comune di Udine (Italy) represented SMR’s first official Tier 4 city and shared the inspiring story of how even a small municipality can become a local figurehead and can spur its larger-sized neighbour cities to take transformative action on resilience. Marco Cardinaletti, Project Manager, Region of Emilia-Romagna (Italy) shared innovative communication methods to disseminate project results to stakeholders in the fields of adaptation and resilience, including a children’s theatre performance. From the point of view of cities, co-creation means involving colleagues and stakeholders from inside and outside the municipality, sharing the project outputs with them and feeding their perspectives back into the co-design process. “The most important thing we learned [through the SMR project] is the holistic approach to think resilience. Resilience has not been a familiar term, now it's becoming a familiar term, and it is how to cooperate with internal stakeholders, external stakeholders and how we all together move forward. When you work together and cooperate together, the outcome is resilient,” said Silje Solvang, City of Kristiansand. The project’s dissemination of project outputs to cities has followed a ‘Circle of Sharing and Learning’, whereby additional cities have become progressively involved in the project as it developed. The project began with the three core cities of Donostia (Spain), Glasgow (United Kingdom) and Kristiansand (Norway). These cities tested the project’s tools and are referred to as ‘Tier 1’ cities. 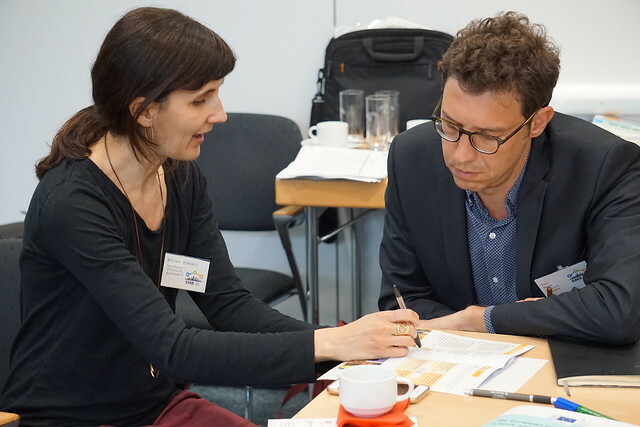 The next ‘tier’ of cities; Bristol (United Kingdom), Rome (Italy), Riga (Latvia) and Vejle (Denmark) provided feedback and review to the tool testing process. This group is referred to as ‘Tier 2’. Each ‘Tier 2’ city was paired with a ‘Tier 1’ city, with whom they worked particularly closely. “It’s been brilliant working with other European cities… It’s great having the ability to build a strong peer network with our counterparts of the European cities and also to get outside of our comfort zone. You can get very locked into your own way of thinking, a very UK-centric approach, so we’ve been able to widen our perspective and understand the other challenges other European cities are going through. It’s been great working with Donostia, they’re our Tier 2 City, so we’ve got to know a lot of the challenges they’ve got in their city and we’ve had great conversations with them and sharing our learning on resilience,” said Lucy Vilarkin, Bristol City Council. The first two tiers were full project partners. Communication and dissemination activities created a third tier of cities in the final year of the project, comprising Athens (Greece), Greater Amman Municipality (Jordan), Greater Manchester (United Kingdom), Malaga (Spain), Malmö (Sweden), Rekjavik (Iceland) and Thessaloniki (Greece). These cities were part of the ‘Tier 3’ and attended three in-person events and a series of webinars. At the in-person events and webinars, Tier 1 and Tier 2 city representatives facilitated and presented the project results, thereby transferring the knowledge they had gained through the project directly to the new cities. These Tier 3 cities signed an official Statement of Commitment to participate in the project. The final ‘Tier 4’ is an open-ended group and may encompass cities beyond Europe and beyond the end of the project’s funding period. Helena Perxacs Motgé, Provincial Council of Barcelona (Spain) discussed the opportunities and challenges of the local economy and society to adapt to climate change. As part of her work in the Provincial Council of Barcelona, Ms Perxacs Motgé provides support to a number of municipalities in the province of Barcelona, works with stakeholders to improve local resilience and adaptation, particularly in terms of agriculture, forestry, fishery and tourism in different areas in Catalonia. 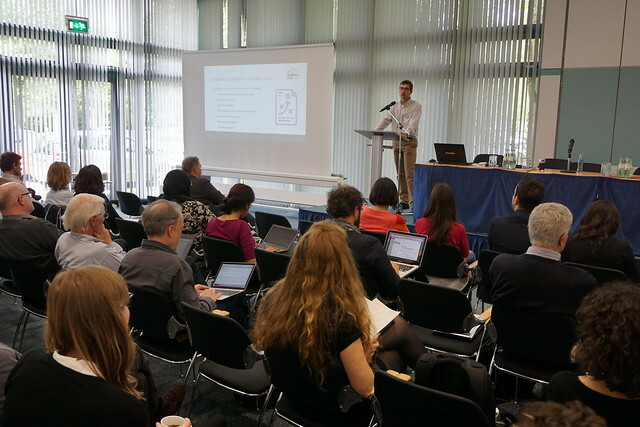 Ms Perxacs Motgé found that the tools and methodologies developed by the SMR project could be directly applicable for this context, explaining, “It was good to get ideas from the tools and resources developed during the SMR project. We will try to implement and to use those in our project CLINOMICS, and to use these methodologies for the discussions with the stakeholders to increase their resilience and adaptation to climate change.” Udine (Italy) is the first city to return a signed Statement of Commitment to join the Tier 4. 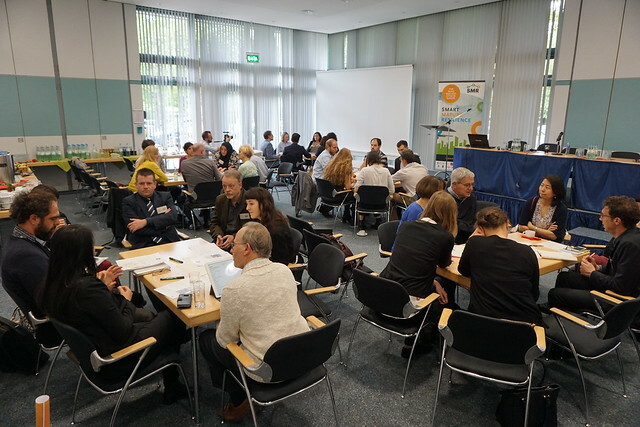 SMR co-organised the Open European Day at Bonn Resilient Cities, which saw the highest ever attendance and inspiring discussions. As a pre-event to Open European Day, SMR held its Final City Resilience Conference. A photo gallery of the event is available at https://www.flickr.com/photos/iclei_europe/sets/72157693144111942/. For more information on the Partnership, please click here.